Two California events scheduled for early August are now on sale. 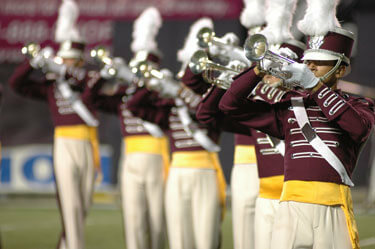 These events will feature some of the best corps from Divisions I, II & III, just days before these groups compete in the 2007 DCI World Championships in Pasadena, Calif.
Aug. 5 Mid Cal Tour of Champions. Ticket prices: Tickets are $10 general admission. Ticket prices: Tickets range from $20 to $30.